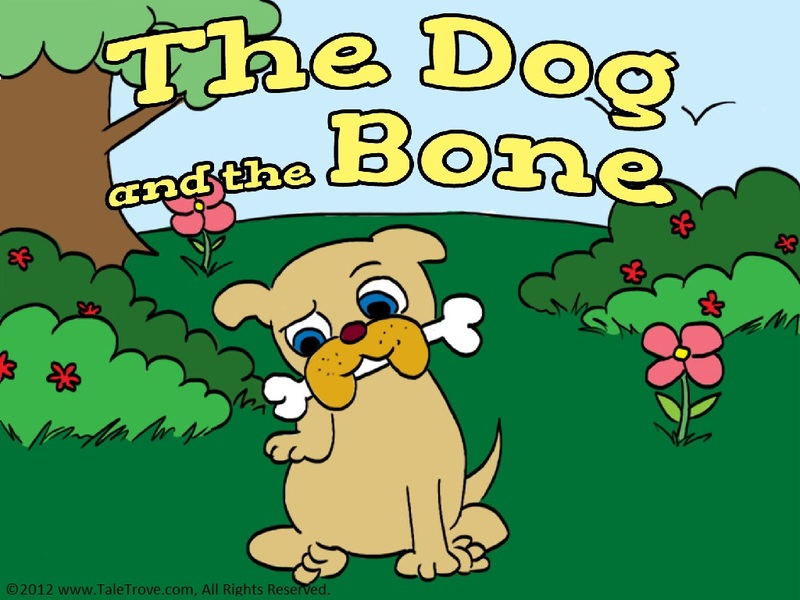 A dog once stole a bone from a butcher’s shop and bolted away. Being very conscious of his hygiene, the dog stopped by a river to wash his paws before beginning his meal. 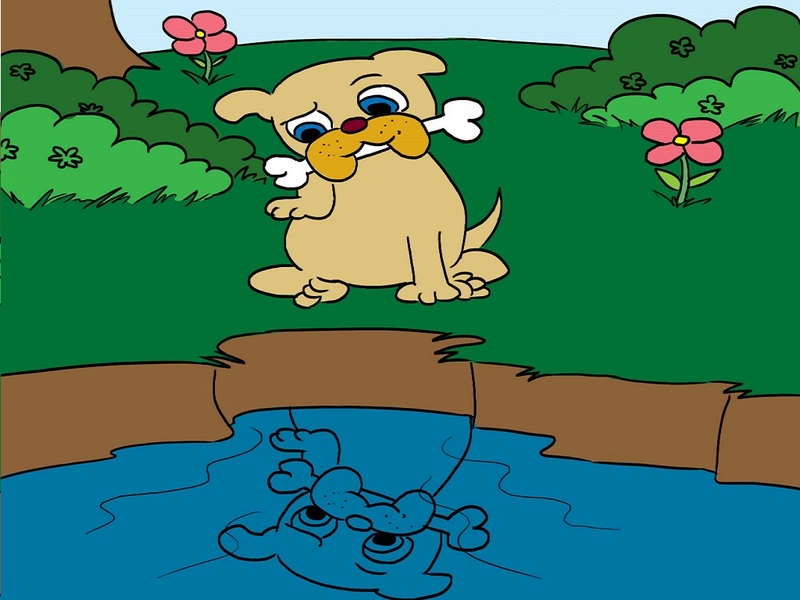 Leaning over, he saw his reflection in the water and thought that another canine was in the water with a bone. He tilted his head, and the dog in the water tilted his head too. He stared at it, and it stared right back. He lifted his paw signaling that he would kick him if he didn’t give him the bone, but the dog in the water did the same. “You indignant brat,” he snarled. 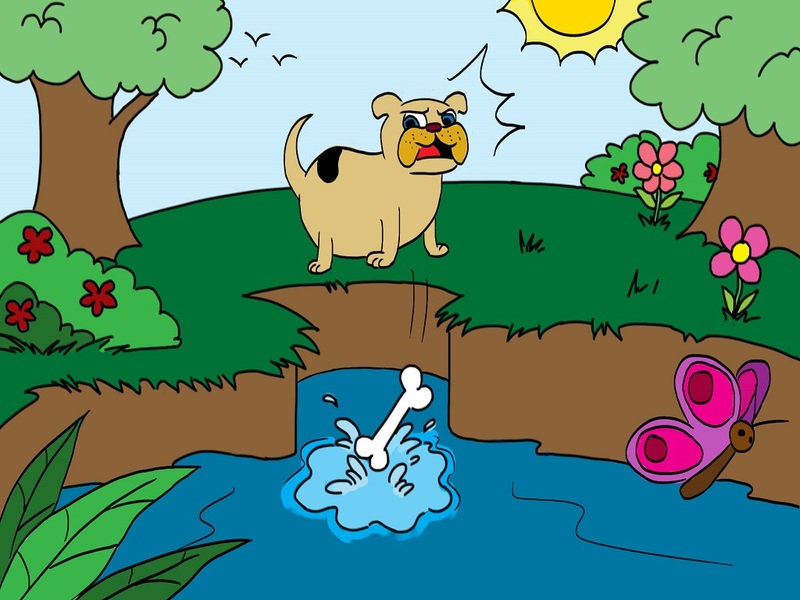 In a fit of rage, he started barking furiously at the dog in the water, but to his dismay, the bone he was carrying in his mouth dropped into the water and was swept away by the current in a flash. 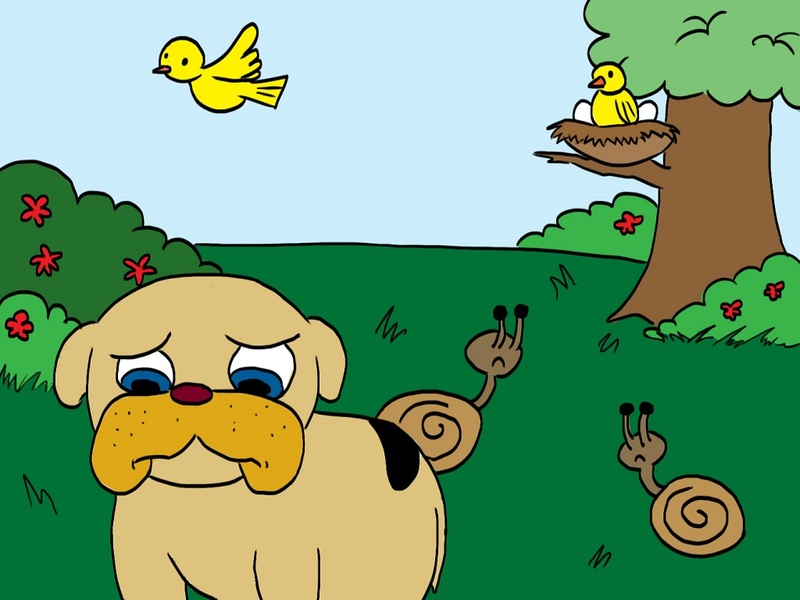 The dog looked back into the water and only saw a foolish dog. Realizing he was seeing his own reflection, he stomped away madly, irritated at himself.